Usually the last event of the season, so hope you can make it! How much? £9 per car in advance*, - £10 per car on the day. Please note there is an optional charge of £5 per person (payable on the day) if you wish to visit inside the hall. The 18th edition of MITCAR keeps up the tradition of being held at a new venue each year, this time at a delightful Stately Home setting with a beautiful Gothic Revival mansion, lake and 20 acres of gardens amid a vast deer park. Tickets will be available on the day at £10 per car but we advise advance purchase for speed of entry. There will be several prizes for best presented cars including the Camshaft Trophy for overall Car of the Day, awarded by public vote. Want to be on the stand? Click the "Add Me" button in the attendees section at the top. Fill in your details in the "Event Registration" section of the User CP. Once we arrive at the Hall, a member of our team will help you park up. So - a quick run down? Don't worry if you've never been an event before, or you have but have trouble talking to new people - we've got all this sorted. Members of our team will greet you and introduce you to a few more members - no need to walk up to groups and try and "fit in" - we do it all for you!! Can't wait for this, see you all there! Check out the photos from last years A great time had by all! Roads might be a bit busy for me.. crossing 8 counties.. But I've always enjoyed MITCAR shows that I have attended. its on a sunday most bank holiday traffic is on friday night saturday morning and monday. on sunday most people are already at where they need to be. How do I add myself to the list? John here, the main MITCAR organiser. 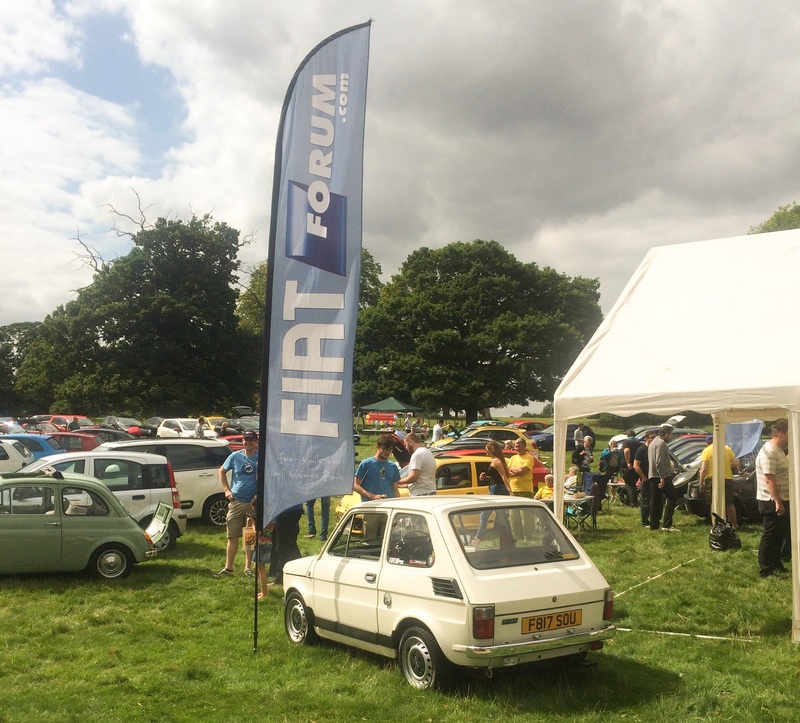 Looking forward to another super event and seeing lots of cracking FIATs along! Fiat Motor club are coming over as always, and the Fiat Coupe club will have a special line up too. Our event sponsors Stoneacre group are bring some brand new Fiats, Abarths and Alfas over too you can have a good look at/in. PLEASE use the Astley Village entrance as per published post code - CV10 7PX. It's a nice drive in then to the park, about 1/4 mile. Slightly bumpy display field but nothing drastic, and really nice by a lake. House open for tours (if that's your thing) specially for us 11-1, that's £5 a head payable to them at the house when you show your MITCAR programme. Other than that, all the usual show awards that could go to ANY cars present, Fiat Multipla won one last year! -Plus a special prize draw. I have enjoyed all the MITCAR shows I have attended. Are you going on Sunday? i will be @4hours away. is there a meeting point for FF members?